Elegantly attired, in a dark-blue jacket with gold buttons, his face set off by a well-groomed, coal-dark beard, the bereaved father entered the room in the back of the village’s large mosque. Speaking soft, fluent American English, which seemed somehow at odds with his religiously observant Islamic appearance, he related the story of his dead son’s life. Only once did he break down and burst into tears. That happened when he recounted the last telephone conversation he had with his son, between New Orleans and Silwad, last Friday – morning in New Orleans, afternoon in Silwad – about half an hour before an Israel Defense Forces sharpshooter fired one live round at the boy and killed him. He says he warned his son to stay away from the road below the village. Repeatedly the father mentions Highway 90, although his son was killed on Route 60. The mix-up stems from the fact that his used-car lot in New Orleans is on U.S. Route 90. There’s no mistaking the scene when you enter Silwad: war. A militant village. Both roads leading into the village were this week strewn with dozens of stones and the remnants of scorched tires. Vehicles entering or leaving had to carve a tricky slalom. It was here, in this West Bank village, north of Ramallah, that Hamas chief Khaled Meshal was born. It abuts the flagship settlement of Ofra, most of whose homes stand on private land that was expropriated from the inhabitants of Silwad and from a neighboring village, Ein Yabrud (58 percent of the built-up area in Ofra is on plundered private land). That could well account for the militancy. But it wasn’t just the stones and tires that suggested an intifada in Silwad this week. It was also the fact that no one wanted Israeli visitors, not even if they were journalists seeking to document the killing of a village son. The dead boy’s father barely agreed to talk to us, and refused outright to have his picture taken. He sat with us in the community center that’s attached to the mosque, where the dead boy is being mourned. The father occasionally exchanged whispered words with a friend. The atmosphere was palpably tense. We were urged to finish our business and leave, before people in the village discovered that we were Israelis. Orwa Hammad was not yet 15 when he was killed. His father, Abd al-Wahhab Hammad, was born in the village 48 years ago, but has spent most of his life in the United States, to which his own father – Orwa’s grandfather – immigrated in 1970. Abd al-Wahhab has lived in both Denver and New Orleans, and has used-car businesses in both cities. The family returned to Silwad in 1999. The father didn’t want to raise his son in America. “I wanted a quiet, safe place, where my son could get a less dissolute education than in the United States, and have a more tranquil, less stressful life than in New Orleans. But you never know what God has in store for you,” he says. He continued to manage his overseas car lots, dividing his time between America and his homeland. With an American passport and no ID card from the territories, his entries to the country via Ben-Gurion airport went more smoothly than most. His wife, Akhla, also a Silwad native, has a green card; all their children hold American citizenship. Orwa, who was born in the West Bank, visited the United States frequently, though he never managed to get the hang of its language. His two sisters attend Bir Zeit University, near Ramallah. Orwa liked to swim in the local pool, go horseback riding – a hobby he picked up in America – and practice kickboxing. Orwa’s older brother, Mohammed, 16, has been detained by soldiers a number of times for stone throwing. He was convicted in court and served long months in prison. 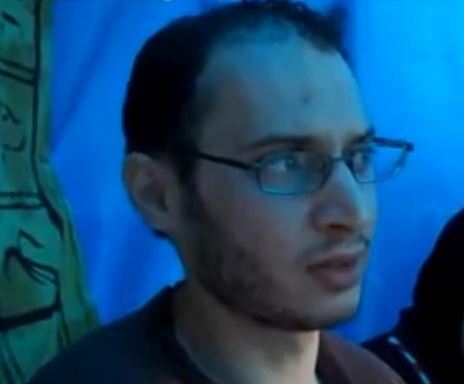 His most recent detention ended on September 21, when he was released on bail of 4,000 shekels (just over $1,000). On Fridays, local youths throw stones and burn tires on Route 60, in protest of the theft of their land and the suffocation of their village by the settlement across the way. Last Friday was no different. Abd al-Wahhab says that when he was abroad, he spoke often with his children in Palestine, “maybe 10 times a day.” In almost every call, he says, and especially on Fridays, he cautioned Orwa not to go to the road and throw stones. “Look what happened to your brother Mohammed,” he told him repeatedly. Orwa did not heed him, certainly not last Friday. Somewhere between 8 and 9 A.M. his time, Abd al-Wahhab called Orwa. “I spoke to him about his studies and told him how much I love him, and he told me how much he loves me,” the father says, trying in vain to fight back tears. “I can’t take it,” he apologizes. It was already afternoon in Silwad. Mohammed was with Orwa in the house, when the younger brother suddenly left, without saying where he was going. Shortly afterward, their sister called their father in America to say that there were disturbances on the road, and that Orwa wasn’t answering his cell phone. They kept calling, but there was no answer. For a time they didn’t know where Orwa was, until Mohammed found his brother lying dead on the road, surrounded by soldiers. Orwa had gone to Route 60 with a group of other young people. They threw stones and burned tires. Soldiers lie in ambush here for the youngsters. 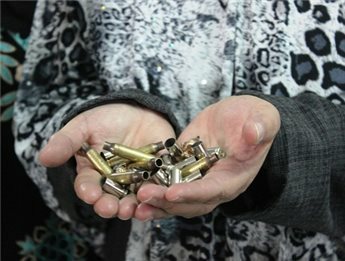 The IDF maintains that Orwa was poised to throw a Molotov cocktail onto the road – which does not, of course, legitimize firing at him with live ammunition in order to kill him – but Abd al-Wahhab doesn’t believe his son was holding a firebomb. The bullet struck Orwa in the neck and exited through his back, leaving a large hole. According to his father, Orwa lay bleeding on the road for half an hour before an ambulance arrived. In any case, he probably died instantly. We went to the site of the incident. Orwa was felled beneath a tree, a short distance from the road, on the other side of which is Ofra. The road that leads to Route 60 is black from burned tires and covered with stones. Abd al-Wahhab was at his used-car lot in New Orleans when he received the dreadful news. He caught the first plane available, and within half a day was in his village, to take part in his son’s funeral. The initial autopsy report of a Palestinian man slain by Israeli soldiers, early this week, reveals that he was shot all over the body at least 20 times and that his death was caused by severe bleeding from his chest, neck, hands, legs, lungs, and heart. The report is expected to add fuel to allegations by Palestinians that Israeli officers charged with the arrest of 32-year-old Mutaz Hijazi, on suspicion of potential involvement in the shooting of right-wing U.S.-born rabbi Yehuda Glick, late Wednesday, instead executed him, according to Ma'an correspondence. 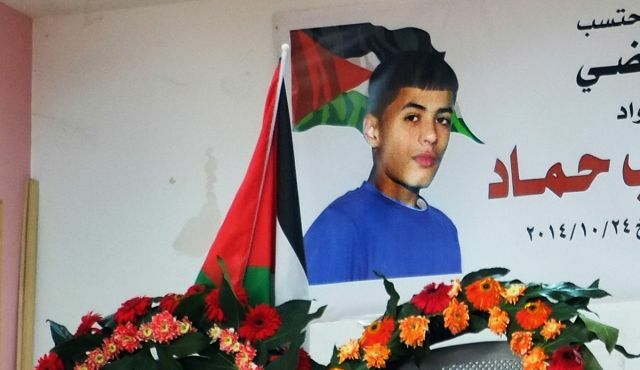 Lawyer for the Addameer Palestinian prisoners' rights group Muhammad Mahmoud said, Friday, that he had received the autopsy reports from the director of the Abu Kabir Forensic Institute, where the autopsy was held. Mahmoud stated that four of the bullets struck Hijazi in the chest area, including the heart and lungs -- six hits in his neck area, one in his shoulder, one to the right thigh, two in his right arm, one in the pelvis, three in his right leg and four in left leg were additionally reported. Mr. Mahmoud said that the bullets in Hijazi's arm had "deformed and crushed" his bones, and that the autopsy further revealed that different types of bullets had been used, presumably from a number of different weapons. Ma'an further reports that the killing of Hijazi set off a torrent of anger across Jerusalem, and is considered by many to be the second extrajudicial killing of a Palestinian in a week in the city by Israeli forces. Hundreds of Palestinians, including family members, held earlier on Friday at dawn the funeral procession of the slain Palestinian, Ibrahim Hijazi, 32, in occupied Jerusalem although the police and the army imposed a tight siege in an attempt to limit the number of Palestinians attending the funeral. The Israeli army handed the family the body of their slain son, shortly after midnight, before installing numerous roadblocks to prevent the Palestinians from participating in the funeral procession, and informed the family that only 45 persons are allowed to attend. The WAFA News Agency said the soldiers installed many roadblocks in Salah Ed-Deen Street and various nearby areas after declaring them closed military zones, while hundreds of Palestinians, who were prevented from participating in the funeral procession, started chanting for the slain Palestinian, the liberation of Palestine and the end of the illegitimate Israeli occupation. Despite the extensive presence of soldiers and police officers, and the tight siege, more than 300 Palestinians managed to break through the barricades, and attended the funeral and burial of the slain Palestinian. 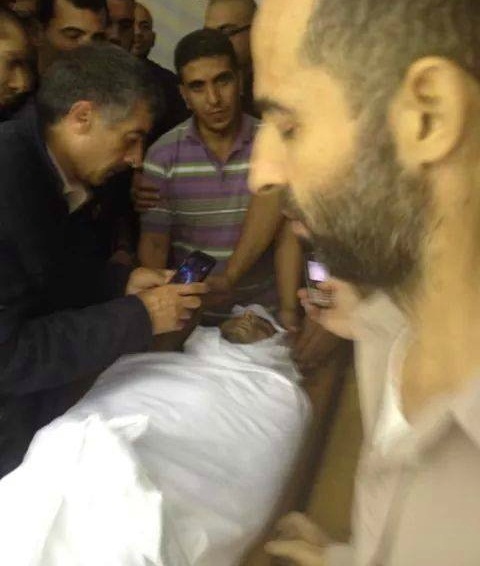 Hijazi was buried in Bab as-Sahera graveyard in Salah Ed-Deen area in occupied East Jerusalem. He was assassinated, Thursday, in his own home by multiple rounds of live ammunition fired by undercover forces of the Israeli military. Israel claims he is behind the attempted killing of fanatic Israeli rabbi Yehuda Glick, who suffered four gunshot injuries to his chest, ribs and intestines. He is also the head of the so-called Temple Mount Heritage Foundation, the umbrella foundation that runs many fanatic groups responsible for numerous provocative attacks and invasions targeting the Al-Aqsa Mosque and Muslim worshipers. Hijazi is a former political prisoner who was held by Israel for 11 years, including 10 years in solitary confinement, and was released on June 5, 2012. He was initially sentenced to six years, but in 2004, he received an additional four-year imprisonment allegedly after attacking a soldier. A former Palestinian political prisoner from the ath-Thoury neighborhood in Silwan town, in occupied East Jerusalem, was shot and killed by live fire of undercover Israeli soldiers. Israel alleges the slain Palestinian is behind the attempted assassination of fanatic rabbi Yehuda Glick. Local sources said Mo’taz Ibrahim Hijazi, 32, was killed after the undercover forces invaded his home approximately around 2:30 after midnight. They added that Hijazi apparently returned fire as the soldiers also took positions on neighboring rooftops, before a short exchange of fire took place. 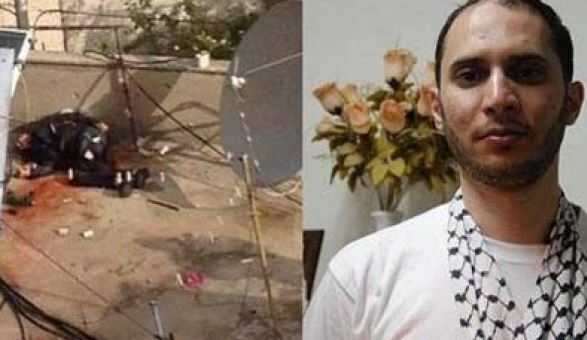 The Arabs48 news website said the soldiers fired dozens of rounds of live ammunition at Hijazi after surrounding him on his rooftop, and invaded his home after ensuring, he suffered multiple gunshot injuries. Hijazi was bleeding heavily while the soldiers left him on the ground without providing him with urgently needed medical care. The soldiers kidnapped Ibrahim, the father of Hijazi, and his brother Odai, and assaulted several family members and Palestinians in the neighborhood. The Police in occupied Jerusalem said the army invaded the home “of a Jerusalemite Palestinian believed to be behind the attempted killing of Glick," and that he allegedly initiated fire targeting the soldiers “who returned fire and killed him,” according to the Israeli statement. The Police also said they obtained Hijazi’s pistol, and sent it to forensic labs to determine whether it is the same weapon used in the attempted killing of Glick. Hani Gheith, head of the Ath-Thoury Athletic Club, said dozens of soldiers surrounded the home of Hijazi, and did not invade it until they made sure he was shot and completely incapacitated. Dozens of local youths attempted to reach the home of Hijazi to ensure he receives the needed medical attention, but the soldiers fired rubber-coated metal bullets wounding at least fifteen of them. Gheith said the soldiers turned the Ath-Thoury club into a military base, and that the soldiers were still withholding the body of the slain Palestinian on his rooftop. Clashes also took place between dozens of local youths and the invading soldiers. Hijazi is a former political prisoner who was held by Israel for 11 years, including 10 years in solitary confinement, and was released on June 5, 2012. He was initially sentenced to six years, but in 2004, he received an additional four-year imprisonment allegedly after attacking a soldier. Family members of Abdul-Rahman Shalloudi and a few dozen Palestinians from Jerusalem who managed to reach his home despite the strict military siege, held the funeral ceremony of the slain Palestinian, just before midnight Sunday. Local sources said the Israeli army handed the body of Shalloudi to his family around 11 at night, while dozens of soldiers were deployed in Palestinian neighborhoods, and around the Yousifiyya Graveyard near al-Asbat Gate. The Israeli Police imposed restrictions on the number of Palestinians who could participate in the funeral, and instructed the family that only 55 persons would be allowed to attend. The Police also prevented the family from holding funeral prayers in the mosque, an issue that forced them to perform the prayers outside, as they buried him in the cemetery. On Sunday evening, nine Palestinians were injured and four were kidnapped, during a symbolic funeral procession starting in front of Shalloudi’s home in Silwan town, heading towards the Al-Aqsa Mosque. 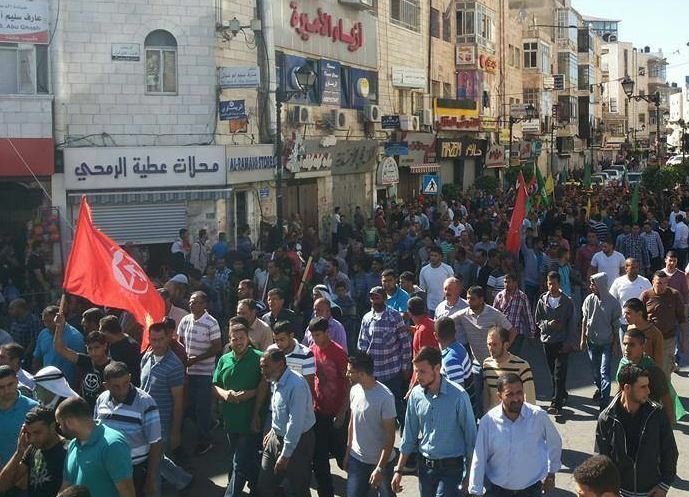 Political parties, and local youth groups in occupied Jerusalem, called for the procession to challenge the Israeli restrictions on the number of persons who could attend the funeral itself. The police attacked the mourners by firing gas bombs, concussion grenades and rubber-coated metal bullets at them, in addition to spraying them with wastewater, while mounted police officers assaulted many of the mourners as well. Medical sources said nine Palestinians were injured; eight of them were moved to local clinics and hospitals, while the police also kidnapped a wounded teen. Clashes also took place in Silwan town, south of the Al-Aqsa Mosque in occupied Jerusalem; two Palestinians were injured, and the police kidnapped three others after invading their homes. The Palestinian News & Info Agency (WAFA) said the police fired gas bombs at a number of homes and sprayed them with wastewater. The police also prevented local journalists from entering the area, burnt several Palestinian flags and posters of Shalloudi. 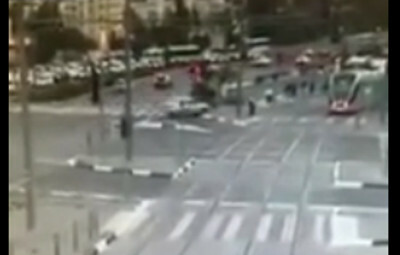 Abdul-Rahman Shalloudi was killed Wednesday; the police claimed he deliberately rammed his speeding car into Israelis waiting for the light rail, while many reports indicated he might have lost control of his vehicle due to high speed wounding seven, and killing a 3-month-old baby. Shalloudi was at the clinic earlier on Wednesday complaining of a fever and illness. He had returned home and gone to bed, but then went back out and was driving too fast on a Jerusalem road when he apparently lost control of his car and ran into a group of pedestrians. While this incident has made media headlines throughout the world, a similar incident this past Sunday, in which two five-year-old Palestinian girls walking home from school were hit by an Israeli settler vehicle, killing one and critically wounding the other, has not received much press. Thousands of Palestinians marched in the burial ceremony of slain teen, ‘Orwa Abdul-Wahab Hammad, who was shot and killed, on Friday, by Israeli army fire in Silwad town, east of the central West Bank city of Ramallah. Hammad was shot by a live round in his head, and died of his wounds in a local ambulance transferring him to the Palestine Medical Center in the city. The soldiers tried to prevent Palestinian medics from reaching him. The soldiers held his body for a while, before eventually handing it over to Palestinian medics. The slain boy also holds an American citizenship. At least five Palestinians were injured, four by rubber-coated metal bullets, and one with a live round, while many suffered the effects of tear gas inhalation. The United States called on Israel to conduct an investigation into the fatal shooting. As Israeli right-wingers continue to gather at the site of the death of a 3-month old baby on Wednesday, reports from the police investigating the incident and eyewitnesses on the scene indicate that the incident was a hit-and-run car accident, not a deliberate attack. 21-year old Abdel Rahman al-Shaludi had been at the clinic earlier on Wednesday complaining of a fever and illness. He had returned home and gone to bed, but then went back out and was driving too fast on a Jerusalem road when he ran into a group of pedestrians with his car. He tried to flee the scene of the crash, but was shot dead by Israeli police. While this incident has made media headlines throughout the world, a similar incident this past Sunday, in which two five-year old Palestinian girls walking home from school were hit by an Israeli settler vehicle, killing one and critically wounding the other, has not received much press. The settler who killed the 5-year old girl also fled the scene of the crash – he was later apprehended by Israeli police, but was not charged with any crime. Israeli police determined (without interviewing any of the numerous Palestinian witnesses who were on the scene) that it was an accident, and no charges were filed. Abdel Rahman al-Shaludi's cousin Abed al-Shaludi told reporters with the Israeli paper Ha'aretz, “We believe that he was shot and killed in cold blood and there was no attempt to question him, and hear his side of the story, and that he deserves a funeral like everyone else.” The body of Abdel Rahman al-Shaludi remains in Israeli police custody, and the family has not been able to hold the funeral yet. A video posted on social media, filmed from an angle above the highway, shows the car crossing the center line and hitting pedestrians who were walking in the median. The U.S. government immediately labeled the incident a 'terrorist attack', with State Department spokesperson Jen Psaki saying, “The United States condemns in the strongest possible terms today’s terrorist attack in Jerusalem.” She said that the baby who died in the incident was reportedly a U.S. citizen. In the clashes that have followed Wednesday's incident, another U.S. citizen child, 14-year old Orwah Hammad from New Orleans, was killed. 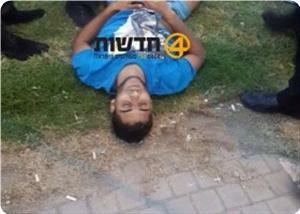 He was shot in the head by Israeli forces on Friday. Political analyst Rania Khalek, in an article published in The Electronic Intifada on Friday, pointed out the disparity in media coverage between Palestinians killed in ramming incidents, either deliberate or accidental, and Israelis killed in similar incidents – which are always assumed to be politically motivated attacks and not accidents. Khalek notes that the Palestinian representative to the United Nations filed a complaint after the ramming of the two girls on Sunday, noting that there has been an increase in the number of deliberate attacks against Palestinian civilians by Israeli settlers using their vehicles as weapons in the last two months. She writes, “In September, a six-year-old Palestinian girl was run over by a settler driver south of the occupied West Bank city of Hebron. In August, an eight-year-old Palestinian girl was hit by a settler vehicle in the southern West Bank, an act witnesses described as a deliberate attack. A week later, a 23-year-old Palestinian man was run over and killed by a settler vehicle in the central West Bank. Guards of the light rail in occupied Jerusalem fired at Abdulrahman al-Shalludi at close range after he ran over a group of Israeli settlers then left him to bleed to death. Dr. Saber al-Aloul, the Director of the Palestinian Institute of Forensic Medicine, said that Shalludi, 20, with hit with three bullets the first hit his liver and cut a renal artery, the second hit his left foot and the third hit his testicles. Aloul said that cause of his death was the long time he spent lying on the ground at the scene without any first aid treatment. Washington confirmed that a Palestinian teenager shot dead by Israeli troops was a US citizen -- the second time this week an American child has fallen victim to the ongoing conflict. The army said that the youth killed Friday had been about to hurl a petrol bomb at Israeli motorists near the West Bank city of Ramallah. An army spokeswoman said troops posted at the village of Silwad to protect a major road widely used by Jewish settlers in the occupied territory spotted a person about to hurl a petrol bomb. "The forces fired immediately to neutralize the danger ... and confirmed a hit," she said. a stone-throwing protest against troops, a regular occurrence at Silwad, near Ofra settlement. US State Department spokeswoman Jen Psaki said the US "expresses its deepest condolences to the family of a US citizen minor who was killed by the Israeli Defense Forces." Calling for "a speedy and transparent investigation," Psaki said officials from the US consulate in Jerusalem were in touch with the family of the slain youth. "We continue to urge all parties to help restore calm and avoid escalating tensions in the wake of the tragic recent incidents in Jerusalem and the West Bank," said Psaki. Locals in Silwad said Hammad's father lives in the United States. Also on Friday, police in annexed east Jerusalem clashed with Palestinians, firing tear gas to disperse stone-throwing protesters. They were deployed in force ahead of weekly Muslim prayers as the army restricted access to a flashpoint mosque, after a deadly Palestinian attack sent tensions soaring. Clashes have broken out nightly since a Palestinian ploughed his car into a crowd of Israelis on Wednesday, killing a baby who Washington said was a US citizen, and injuring six other people before he was shot dead by police. The security presence was boosted across east Jerusalem including the Old City, police spokeswoman Luba Samri said. Palestinian men under the age of 40 were not allowed into Jerusalem's Al-Aqsa mosque compound for Friday prayers because of fears of further unrest, she said. 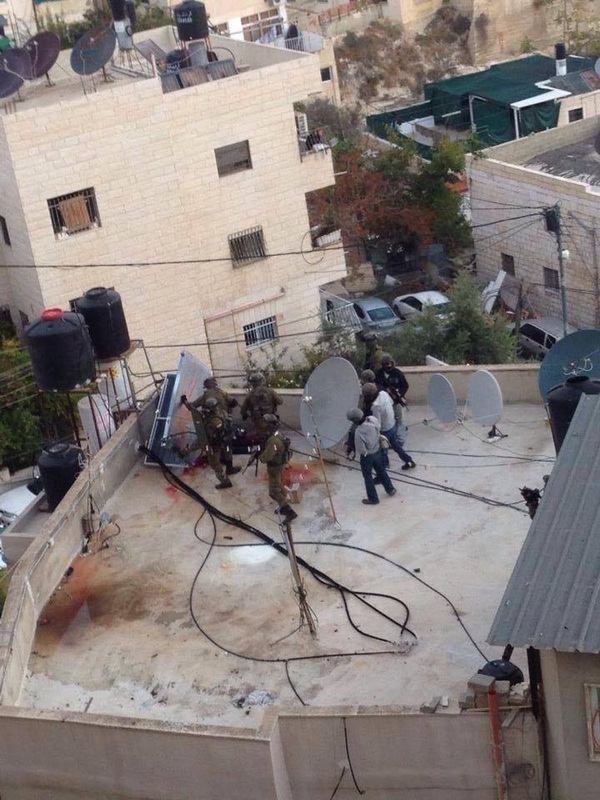 The compound is the scene of frequent clashes between Palestinians and Israeli police. The plaza houses the Dome of the Rock and Al-Aqsa mosque, Islam's third-holiest site. It is also revered by Jews as the location of the biblical Jewish temples, considered Judaism's holiest place. Prayers concluded on Friday afternoon with clashes in the Wadi Joz neighborhood north of the Old City. Palestinians there threw stones and fired flares at police, who dispersed them and arrested three demonstrators, Samri said. An AFP correspondent said undercover police in the crowd of Palestinians made the arrests. There were also clashes in east Jerusalem's Issawiya neighborhood, where AFP photographers saw police fire bursts of tear gas to break up a crowd of Palestinians who hurled rocks and burned tyres on the streets. Samri said around 8,000 people took part in prayers at Al-Aqsa, with hundreds of others in areas around the site. On Thursday night, two Palestinians were arrested during clashes in the Old City in which stones, bottles and flares were thrown or fired at police, who used unspecified "riot dispersal" weapons, Samri said. The fighting has shaken east Jerusalem on an almost daily basis since the murder of a Palestinian teenager by Jewish extremists in July. Clashes intensified during the 50-day Gaza war. Police branded Wednesday's incident -- in which 21-year-old Abdelrahman Shaludi from Silwan in east Jerusalem drove at high speed into a crowd of Israelis -- a "terror attack." Silwan -- a densely populated Arab neighborhood on a steep hillside just south of the Old City -- has been the focus of Palestinian anger over Jewish settlements in east Jerusalem. Prime Minister Benjamin Netanyahu has warned that any further attacks would be met with "the harshest response." Meanwhile a suicide car bomb attack in the Sinai peninsula which killed 30 Egyptian soldiers prompted Cairo to close the Rafah crossing into the Gaza Strip, the only route into the Palestinian territory not controlled by Israel.